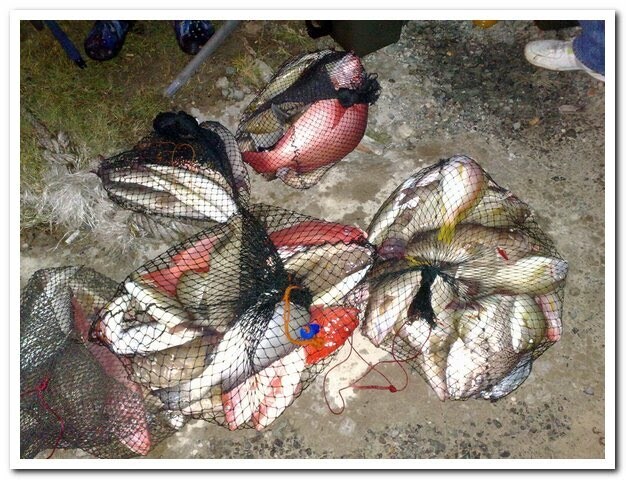 Went to Taganak-Baguan today with Jepp, Amiludin, Ismail, Bob and two other members of another fishing team. 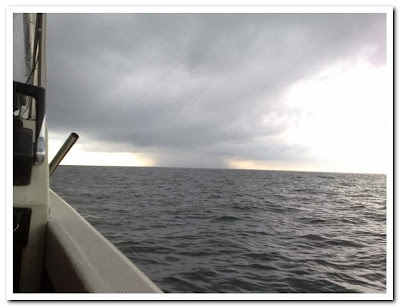 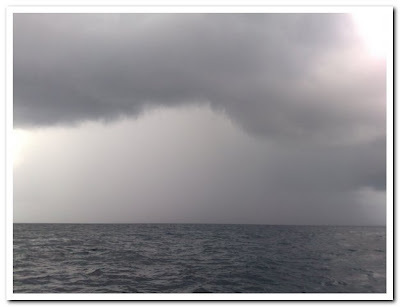 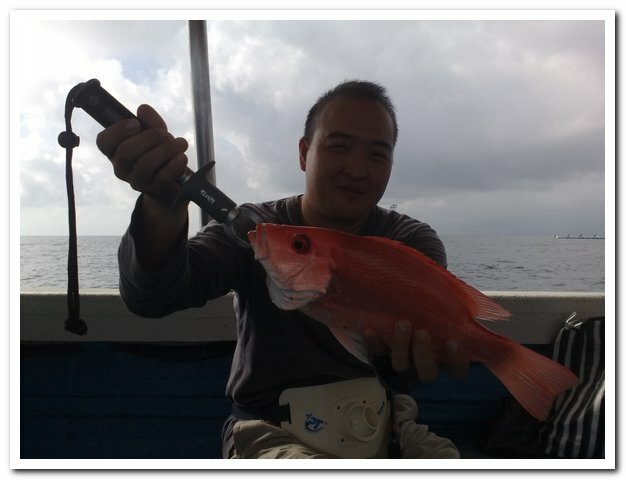 It was a very good trip as the weather and the sea were calm. 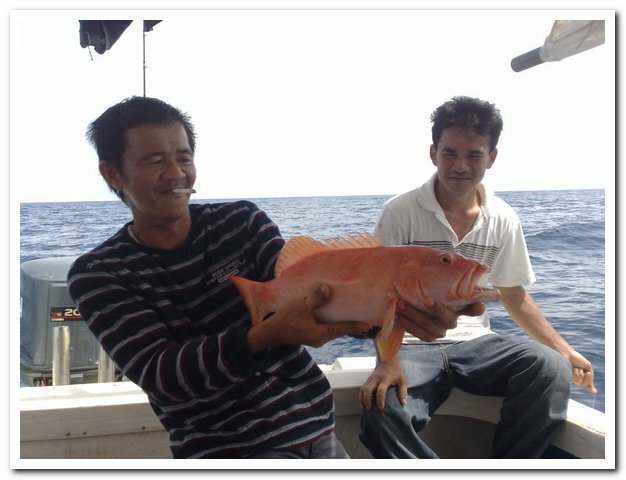 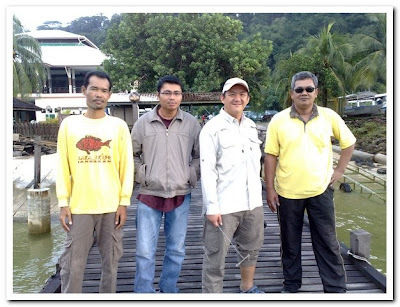 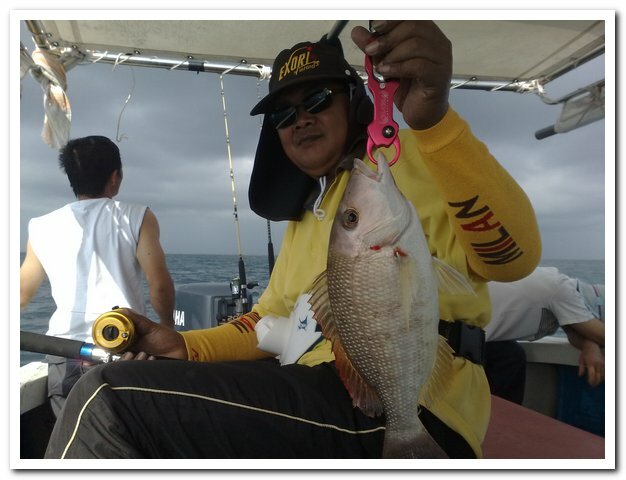 The anglers - Ismail, Amiludin, Jepp and Bob. 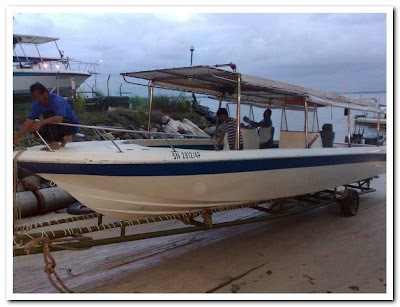 The boat used in this trip. The weather early in the morning. 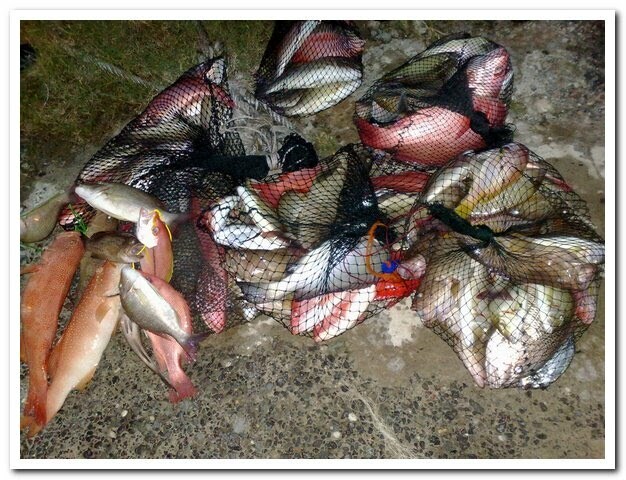 The bait used in this trip. 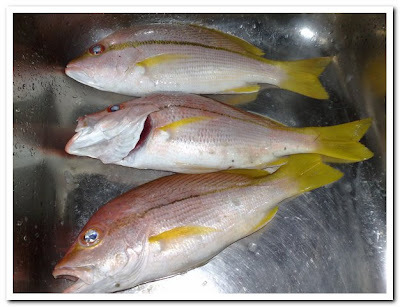 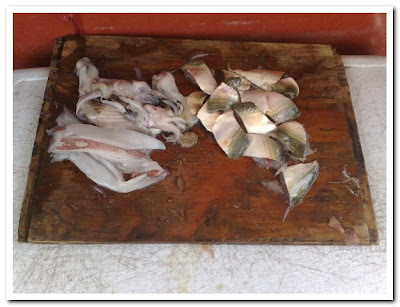 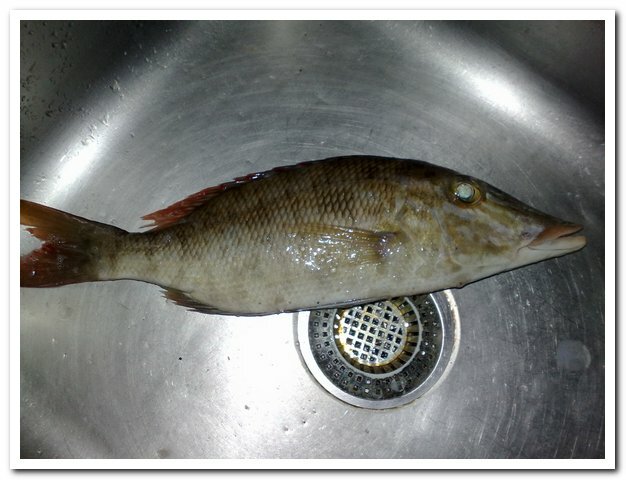 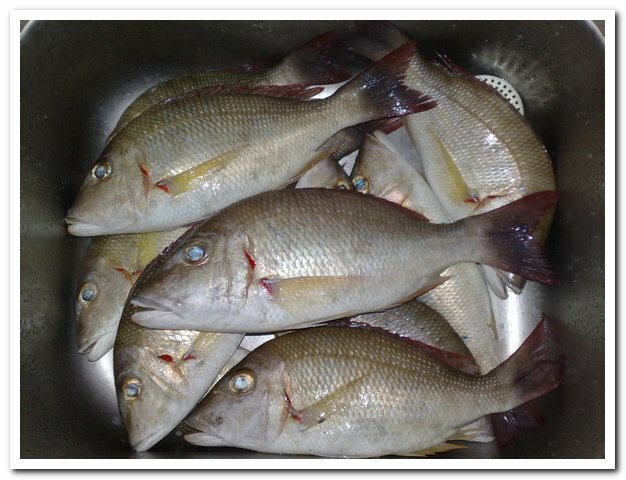 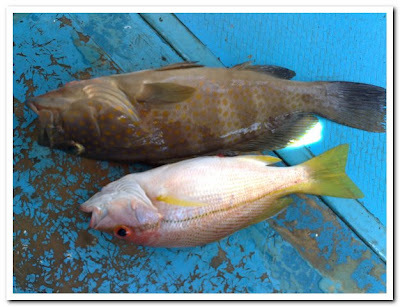 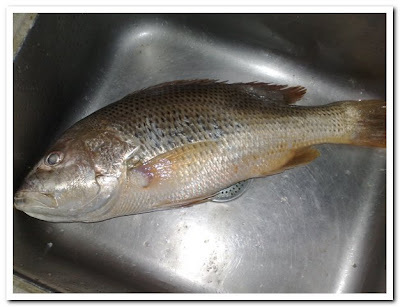 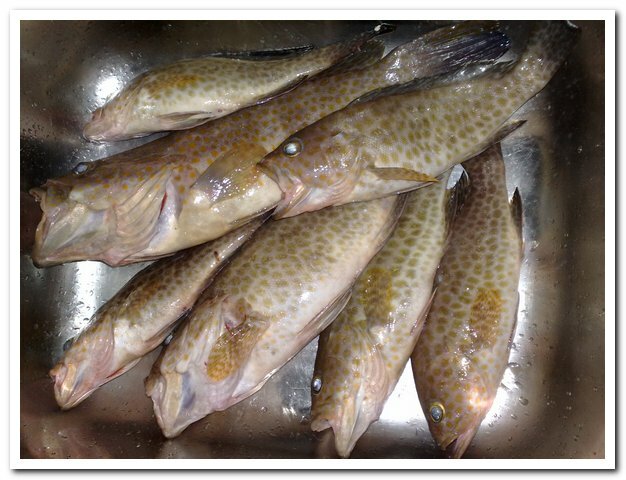 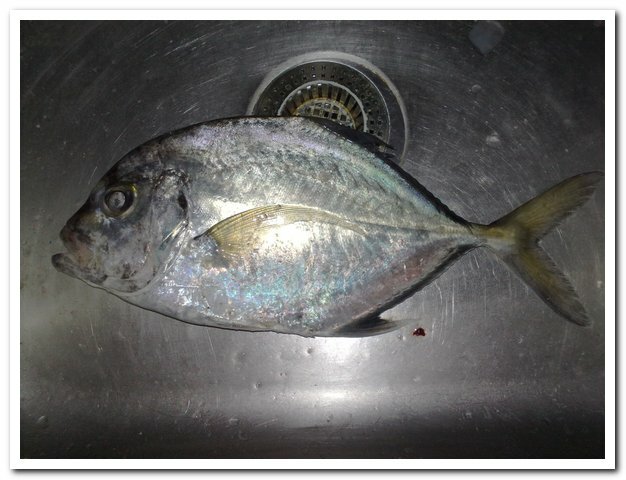 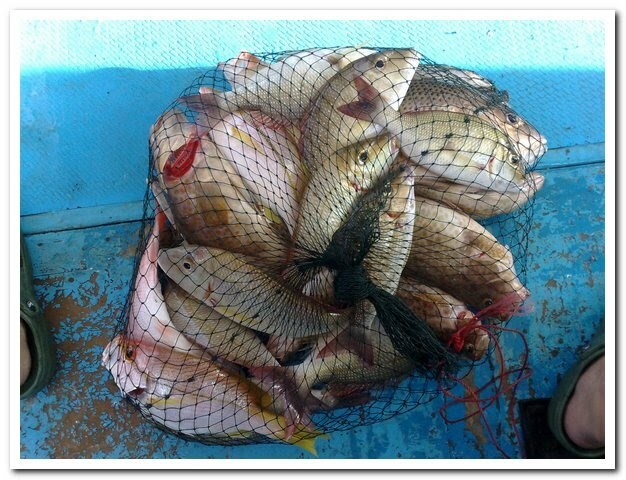 Here are some of the jangkarman's catch. 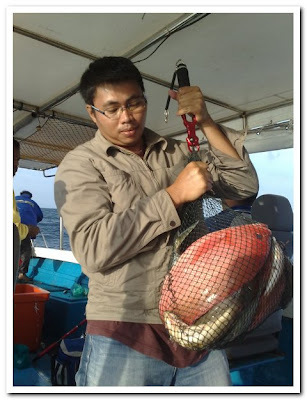 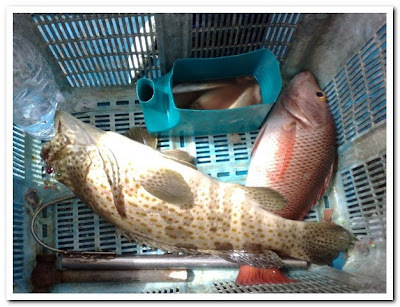 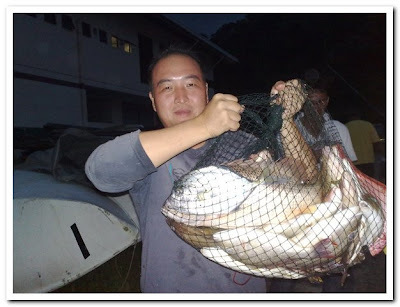 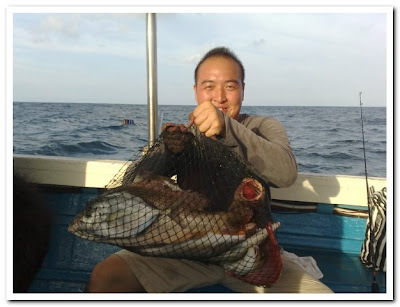 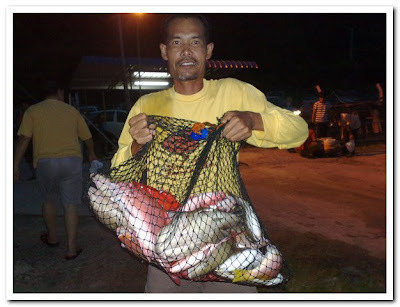 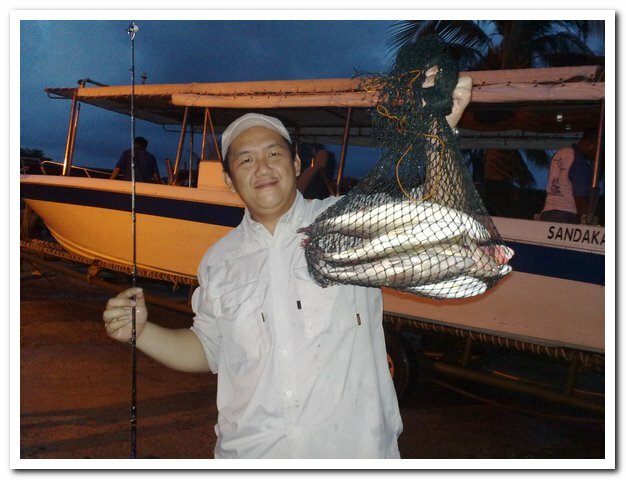 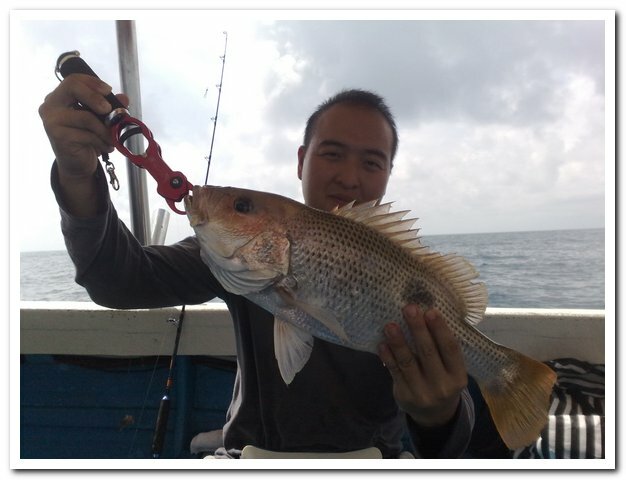 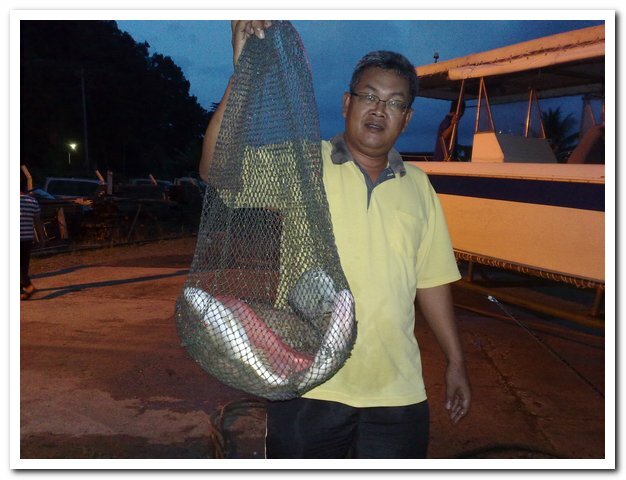 A 4kg grouper and 2kg MJ. 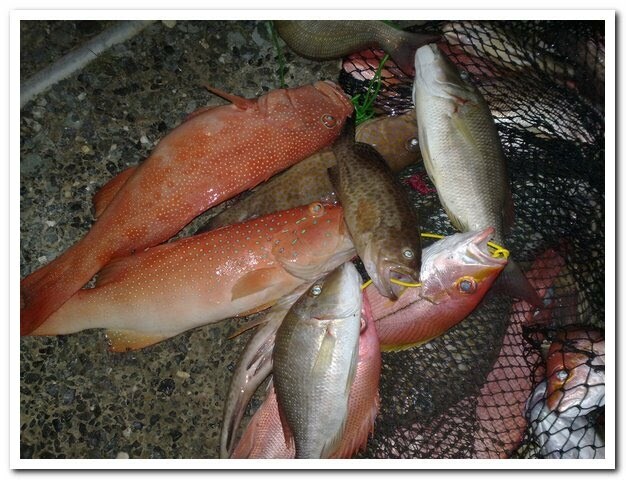 It was a very successful trip for us. 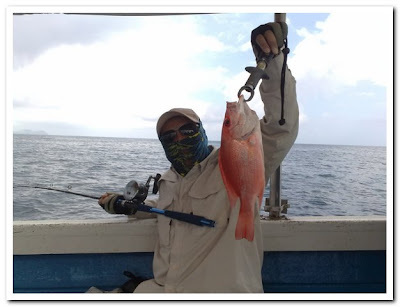 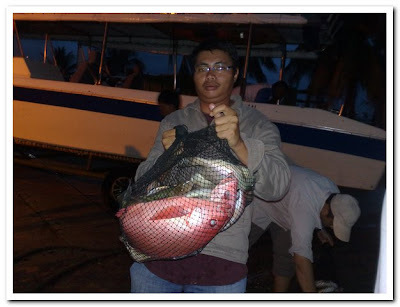 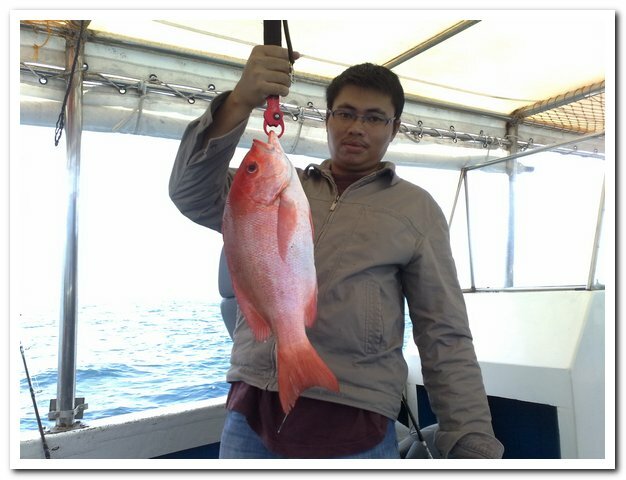 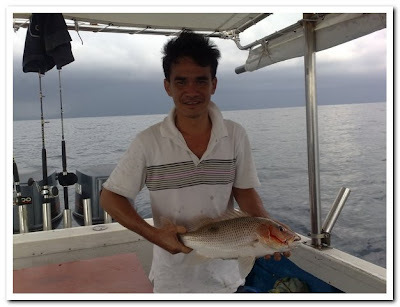 Will surely go for another fishing trip again next month. 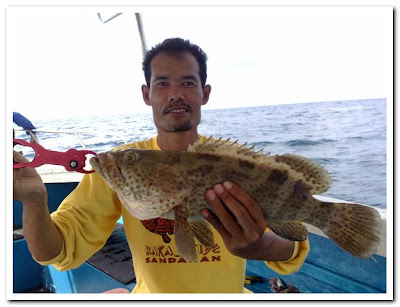 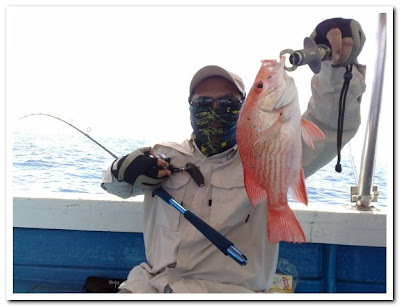 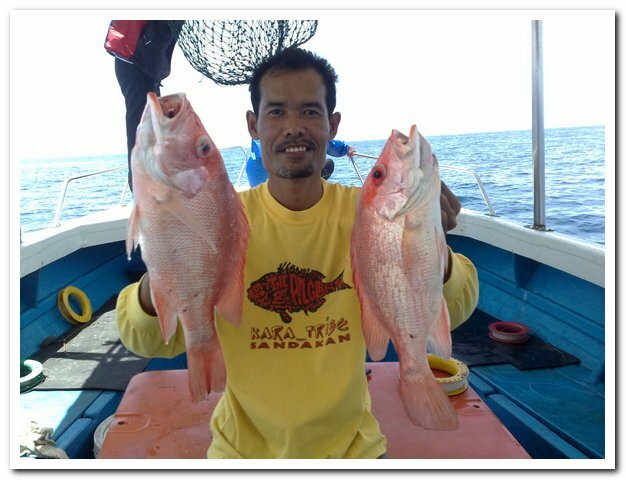 Anyone who is interested to join me for a fishing trip in Lankayan next month, do inform me earlier with a RM200 deposit. Plan to follow Botak Jack again and the trip will cost about RM230.